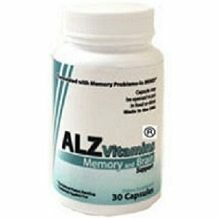 Today we review ALZ Vitamins Memory and Brain. 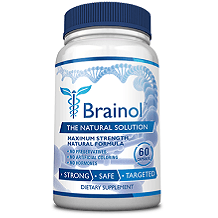 Back by clinical research, this formula will help your overall brain function improve. With a special mix of vitamins, your brain will be better protected against physical changes due to Alzheimer’s. All of these vitamins are essential to helping the brain stay healthy and preventing memory loss. It was surprising that this supplement did not also add in natural herbs, like ginkgo biloba or choline, which also have been proven to help keep you mentally focused and alert. The recommended daily dose is one, easy to take capsule per day. Every dose should be taken with food or a beverage. If you are not able to swallow pills, these capsules are able to be opened so you can mix the contents into food or drink. While no specific side effects are listed for this product, there are a few warnings to take note of. You should not exceed the recommended dose of one daily capsule. Additionally, if you are pregnant, nursing, or have a known medical condition, you should consult with your primary care physician before beginning this supplement. Lastly, this supplement is manufactured in a factory that also processes milk, eggs, peanuts, and shellfish. If you are allergic to any of the above, then you should use extreme caution before beginning this supplement. These bottles come with 30 capsules in each. Unfortunately, this supplement is out of stock on the company’s website, and therefore they have no pricing information available. Even through their wholesale purchasing option, there is no purchase price available for this product. After thorough searching of the company’s website, we found no information regarding either a money back guarantee or a refund policy. Without this information, it shows the manufacturer does not fully support their supplements. They do offer a Contact Us page, but it is not clear whether or not you will be granted a refund for any unused product, should you be unhappy with the results. There are a few things we liked about ALZ Vitamins Memory and Brain. The ingredients are a strong formula of vitamins that are proven to help increase your memory and improve your overall brain function. Also, the dosing for this product is an easy, once per day capsule that can be opened for those who are unable to swallow pills. Unfortunately, we did find many red flags surrounding this product. While the vitamins are good, there are no additional herbs or other nutrients to increase your focus or mental clarity. Secondly, the supplement is currently sold out according to the manufacturer’s website. Due to this, we were unable to find any information in regards to the price of this supplement. Lastly, the company lists no offer of a manufacturer’s guarantee or a refund policy to help unhappy customers. For these reasons, we cannot recommend this supplement to help you boost your overall brain function.